Brian Brown was born and raised in the Wetaskiwin area and all his life Brian has had a passion for sports. For over twenty years he played for the Falun Hockey Club and for six years he played slow pitch for the Falun Men’s team. However, once his sons showed interest in playing sports, Brian became involved with coaching. 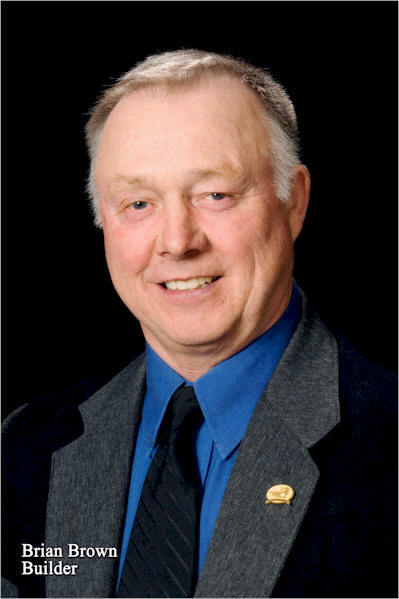 It is for his commitment, contributions and achievements in coaching hockey and fastball that Brian is being inducted into the Wetaskiwin and County Sports Hall of Fame. Brian first started coaching fastball at Falun in 1980. There were not many players to choose from so, anyone that came out to play had a spot on the team. For the next eleven years, until 1991, Brian coached most of the same players as they moved through the different age levels. Through his leadership, dedication, effort and time the team became winners earning Provincial Gold Medals as Squirt ‘B’ in 1984, Peewee ‘B’ in 1985, Bantam ‘A; in 1987 and 1988, Midget ‘A’ in 1990 and Junior ‘B’ in 1991. As Bantams the team represented Alberta at the Western Canadian Championships placing fourth in 1987 and winning the Silver Medal in 1988. In 1990 the team reached the pinnacle of their sport and represented Alberta as Midgets at the National Championship where they placed fifth. Besides coaching, Brian’s time was also occupied with the administration of the fastball program in the small community of Falun. This involved organizing tournaments, being chauffer, grounds keeper, co-coordinator, etc. Brian’s efforts were influential in having the diamonds at Falun upgraded with shale, bleachers and players dugouts. It was during Brian’s coaching years that Falun became the “Fastball Capital” of Alberta and the community’s reputation as such travelled across Canada. Brian was instrumental in organizing a Peewee tournament at Falun where a team from Brampton Ontario was invited to participate. Four years later the Falun boys met the same team at the National Championship in Milverton, Ontario at the Midget level. Brian’s involvement with Wetaskiwin’s Minor Hockey programs began in 1979 and continued until 1994. During those years Brian coached boy’s teams from Mites to Midgets. 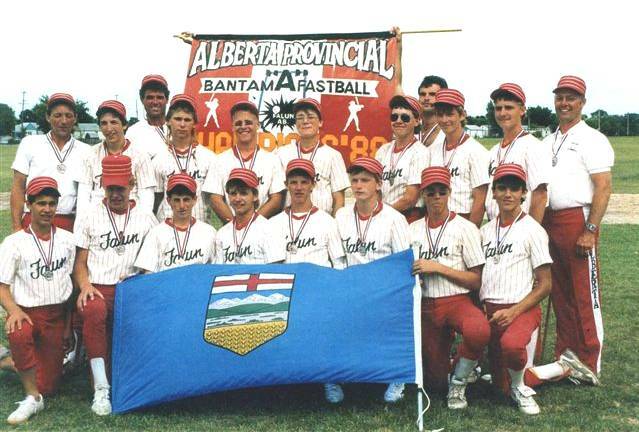 In 1986-87 and 1987-88 Brian coached the Bantam Legion 86’s to two Provincial Championships. In 1988-89 the Legion 86’s were the ‘A’ Zone 4 Champions. Brian was Assistant Manager in 1989-90 for the Kinsmen Midgets when they were Provincial silver medalists. During his coaching years Brian was selected as the head coach in six All Star games including the Alberta North-South Bantam All Star game. Besides coaching hockey, Brian also served on the executive of the Wetaskiwin Minor Hockey Association for six years from 1984-1990. He was Vice President for two years, Bantam Coordinator for three years and Timekeeper Coordinator for one year. Brian also refereed hockey for five years prior to his coaching years and as well, he umpired fastball for three years from 1985 to 1987. When the Wetaskiwin Icemen were formed in 1991, Brian was chosen as the first Head Coach and coached for the next three years. From 1995-1997, he was the assistant manager for the Icemen. He later took on the position of co-coach for the Millet Thunder Senior ‘AAA’ team from 1997-1999. Brian was selected to receive the Alberta Amateur Softball Associations Award of Merit for his contributions to softball in his community. In 1988 Brian received the Winter Olympic Coach Award. During his involvement with the Wetaskiwin Icemen, Brian was given an honorary ‘Iron Man Award” for attending all games and practices, an award typically given to players. Due to his outstanding contributions to the young people of our community through his coaching of hockey and fastball we are proud to induct Brian into the Wetaskiwin and County Sports Hall of Fame. Information about an inductee is collected from published sources, sports archives, scrapbooks, anecdotal information from family, friends and fans, and the athlete. However, sometimes the best stories and personal insights are gleaned at the induction dinner from the introductory comments or acceptance speech of the inductee or their representative. 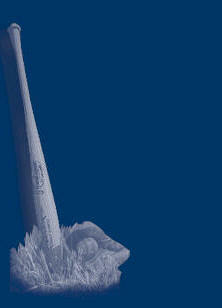 Where possible we have included this type of information for your enjoyment. Read the opening comments made by Sandra Wright when introducing Brian Brown.